A doctor sits down and discusses treatment options with a patient that has coronary artery disease. Typically, a stenting procedure is used to increase blood flow to the heart, but there are complications: The arteries around this patient’s heart have an atypical anatomy. Fortunately, there are self-expanding stents, which can provide the desired fit and even adapt to vessel changes over time. Here, we use simulation to examine how such stents expand to the artery diameter. Medical stents keep anatomical structures (like veins and arteries) open by supporting the inner walls. Used for treating coronary artery disease, esophageal and bile duct constriction, blocked kidneys, and more, stents allow for normal fluid flow. Two main types of stents used in the biomedical industry are balloon-expanding and self-expanding stents. Both types keep blood vessels open, but they differ in material and deployment. A stent modeled by the Pôle entrepreneuriat et innovation (PEI) at l’Ecole polytechnique. Image by École polytechnique — J.Barande. Licensed under CC BY-SA 2.0, via Flickr Creative Commons. A balloon-expanding stent is manufactured in the crimped state. The stent, typically made of stainless steel, is mounted on a catheter with a small balloon, which is later removed. Using this catheter, surgeons can perform a procedure called a balloon angioplasty. The angioplasty opens narrowed arteries by inserting a small balloon and then inflating it at the site of the blockage, which pushes plaque against the artery wall. By inflating the balloon to the vessel diameter, the stent is plastically deformed to the desired diameter of the artery, thus keeping the artery open. 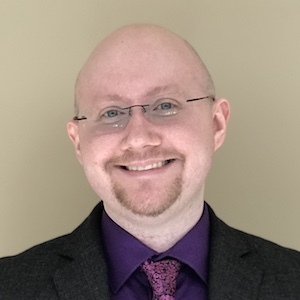 While balloon-expanding stents are more widely used, self-expanding stents have one important advantage — their so-named ability to self-expand, made possible because they are made of shape memory alloys (SMAs). Because SMAs “remember” their original shape after undergoing a phase transformation, they are able to self-expand. Instead of being manufactured in the crimped state, these stents are first manufactured slightly above the vessel diameter and are then crimped and constrained to the smaller diameter at low temperatures until they reach the delivery site. 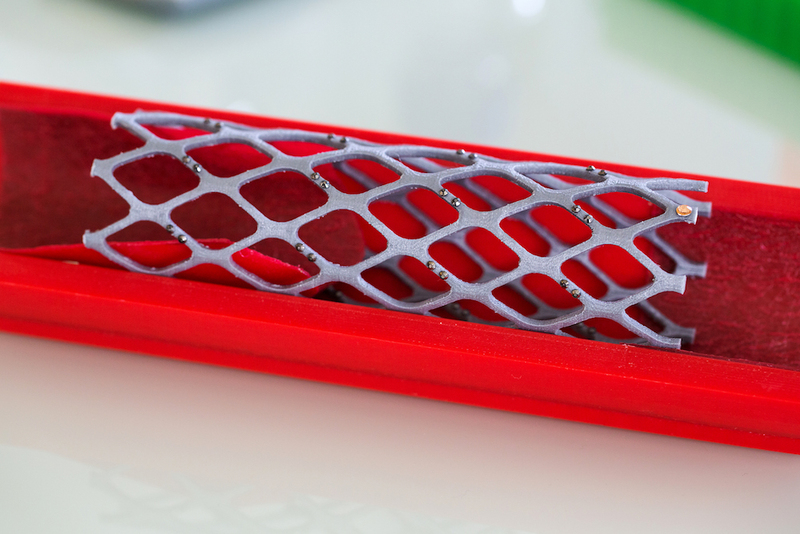 When the constraint is removed, the stent is deployed and can return to the desired size: the blood vessel diameter. 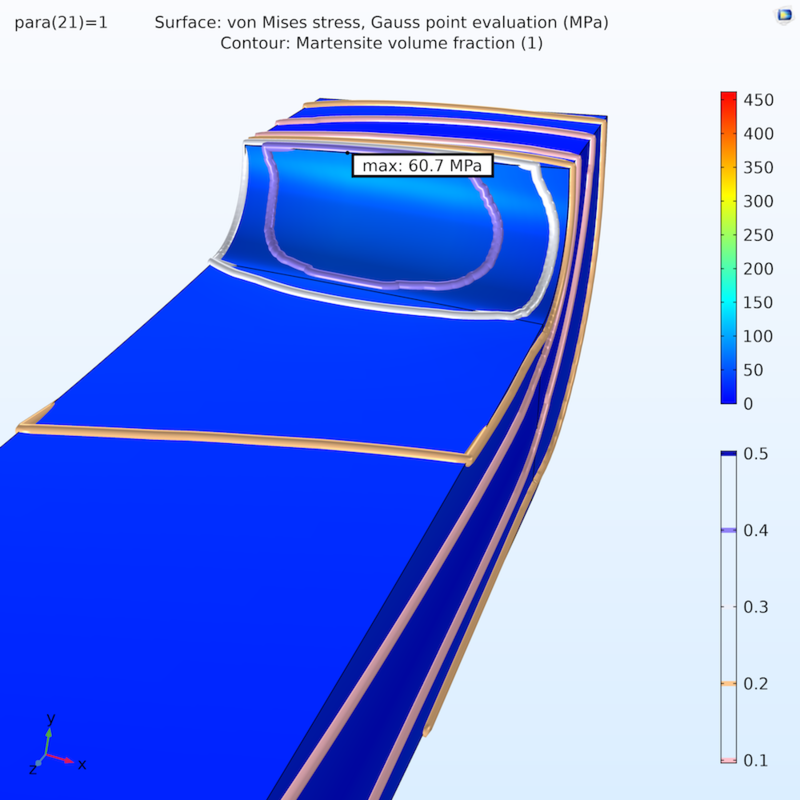 Using the Nonlinear Structural Materials Module — an add-on to the Structural Mechanics Module and the COMSOL Multiphysics® software — engineers can model an arterial stent made of an SMA. Before setting up the model, though, let’s take a look at how SMAs undergo phase transformation. There are two crystal phases for SMA materials, known as austenite and martensite. Austenite is the SMA’s structure at high temperature, and martensite is the structure at low temperature. The SMA transforms from one phase to the other, depending on the temperature and stress, and this reversible transformation causes the shape memory effect. The basic phase transformation process in an SMA. In this example, the SMA stent is manufactured with a diameter higher than the intended artery diameter. 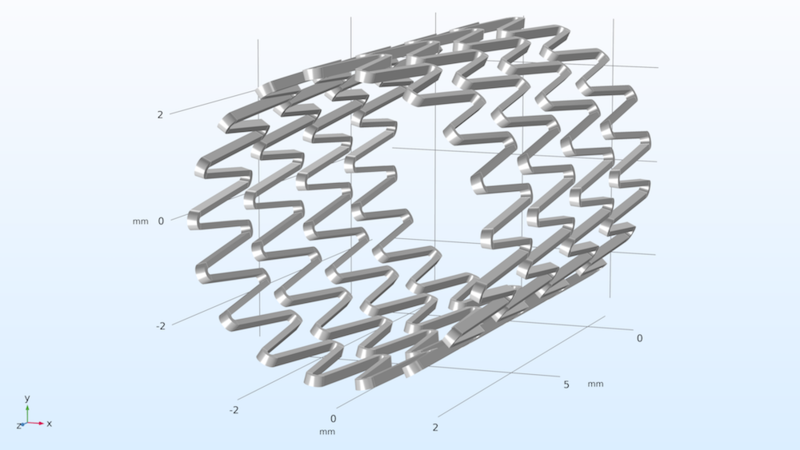 The stent is crimped at a low temperature (the martensite phase), then released to its original shape when the blood heats it up to normal human body temperature (the austenite phase). In the stent used for this example, there are four rings for the SMA wire, and each ring is made of 18 V-shaped sections, as shown below. Note that you only need to model half of a “V” (a 10-degree sector) because of symmetry and periodicity. As for the material, the SMA is a nickel-titanium alloy (nitinol), which is common for stent manufacturing. 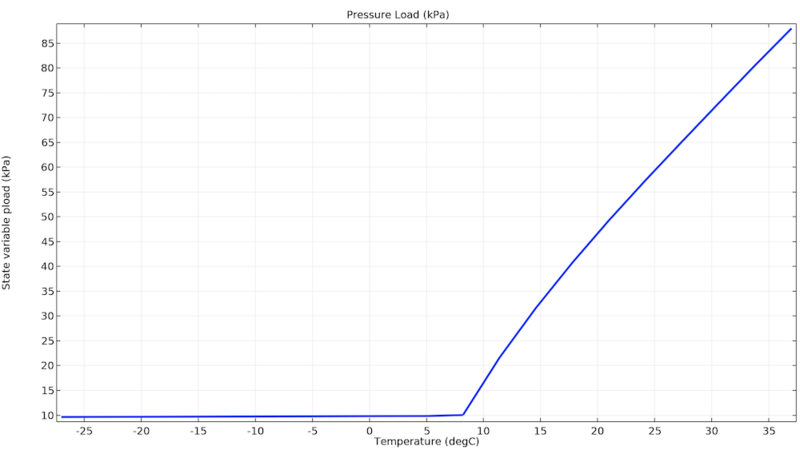 While this example is simulated using a reference Lagoudas SMA model, you can use the Souza–Auricchio model if you prefer. For more information about the material properties and parameters for each phase, refer to the documentation for the Shape Memory Alloy Self-Expanding Stent example. In this example, you can examine the pressure applied on the inner wall of the artery during stent release. The model assumes that the stent is crimped to the diameter of the vessel. A parameter sweep between 0 and 1 is used to model the crimping of the stent at a constant (low) temperature. As for the heating, it occurs by sweeping the parameter from 1 to 2. During crimping, austenite undergoes a phase change to become martensite. Then, as the stent is inserted into the artery and slowly heated to a patient’s body temperature, it tries to revert to its original shape, keeping the artery open by putting pressure on the walls. In the animation below, you can see that, after the crimping of the stent, stress transformation starts to occur as the stent heats up. Animation of the crimping of the stent. The following sections further explore the martensite phase during crimping and the stress during release. Before crimping, the SMA stent is in the austenite phase. As the stent is crimped to the vessel diameter, it starts to enter the martensite phase, which, in this example, is a quite small volume fraction. The maximum volume fraction of the martensite phase is ~6% (94% austenite) and the maximum martensite fraction on the surface of the stent is ~48% (52% austenite). You can study the surface maximum and the volume average for the martensite fraction history during crimping and release. 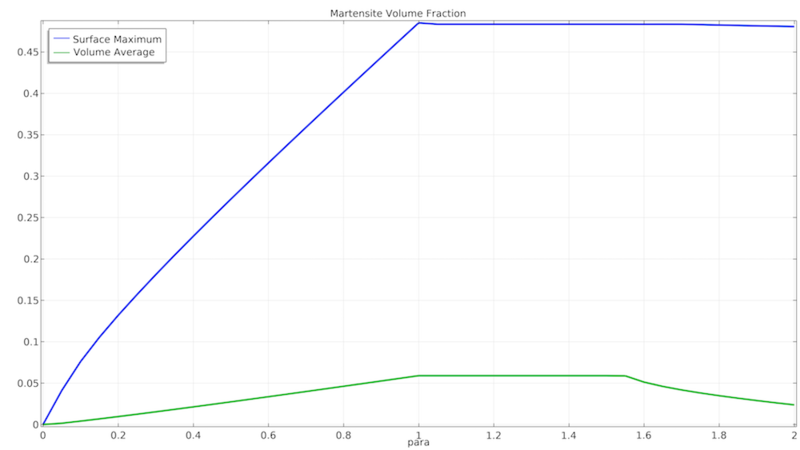 Maximum and average martensite volume fraction during crimping and release. Next is the study of the stress during the release stage, when the stent begins to heat up. 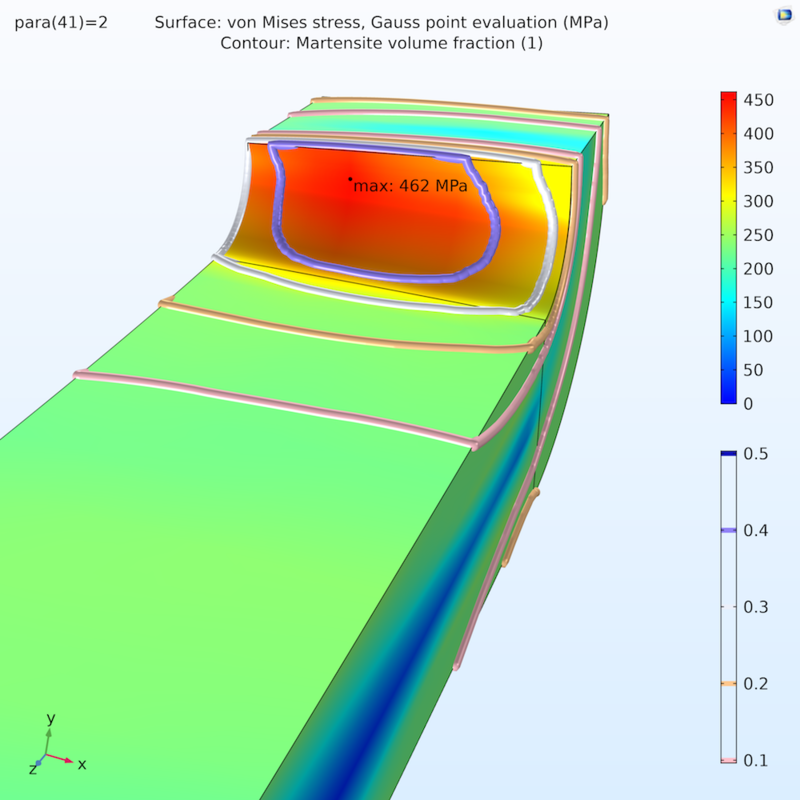 In the images below, you can see that the maximum stress is located where the martensite volume fraction is higher, and residual strain remains where phase transformation occurred. The stress is concentrated at the inner face of the bend, putting pressure on the vessel to keep it open. Note that heating the stent to the human body temperature (37°C) causes the maximum stress to be much higher because the limit stress increases. Stress and transformation state of one arm of the stent after crimping (left) and in the body (right). 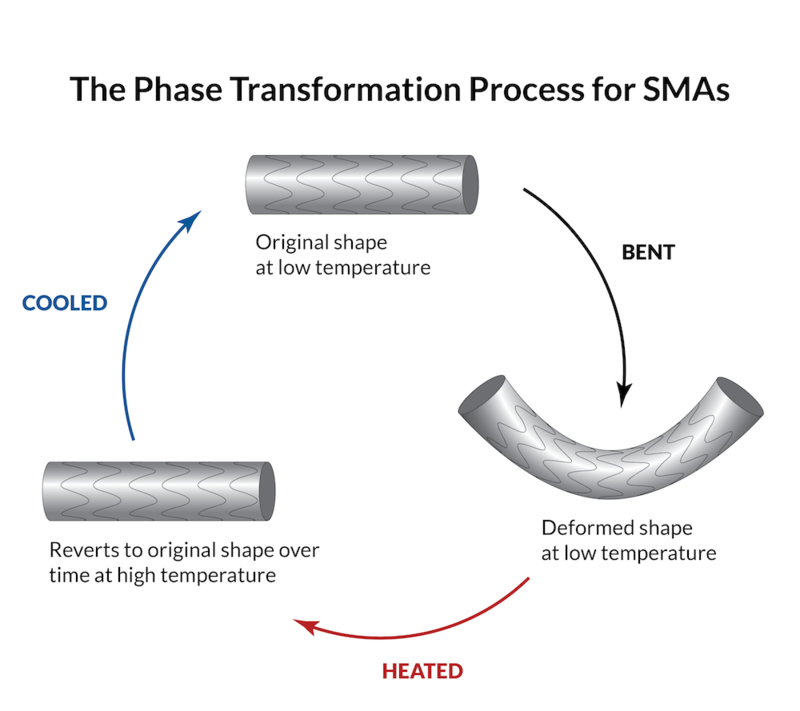 As the stent is heated to the human body temperature during the SMA phase transformation process, it wants to revert to its original shape, pushing up against the artery. This raises the stress in the stent and applies a pressure load on the artery walls, which only increases as the temperature reaches and then exceeds the austenite finish temperature, 7°C. Pressure applied on the inner wall of the artery during stent release. Try modeling a self-expanding stent yourself by clicking the button below, which will take you to the Application Gallery. There, you can take a look at the documentation for this example and (with a valid software license) download the MPH-file.